HomeLet the Landlord and Tenant property insurance specialists have published their September 2013 Rental Index. 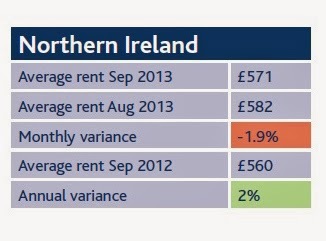 Although the average rent in Northern Ireland fell from £582 in August to £571 it is still £11 better than it was a year ago. According to our local HomeLet business manager " The latest HomeLet Rental Index shows there was a 1.4% increase of students referenced throughout the month, with those in Northern Ireland currently making up 23.8% of the region’s whole tenant population. 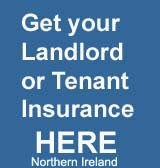 Across the rest of the UK, average rents increased once more to £854 per month"
If you are looking for Landlord or Tenant Insurance visit the HomeLet site here .